For the past six years, Fermi National Accelerator Laboratory has been part of an international effort to create an unprecedented survey of distant galaxies and better understand the nature of dark energy—the mysterious force accelerating the expansion of the universe. According to Dark Energy Survey Director Rich Kron, a Fermilab scientist and professor at the University of Chicago, those results—and the scientists who made them possible—are where much of the real accomplishment of the Dark Energy Survey lies. "We're trying to tease out the signal of dark energy against a background of all sorts of non-cosmological stuff that gets imprinted on the data," Frieman said. "It's a massive ongoing effort from many different people around the world." More comprehensive results on dark energy are expected within the next few years. 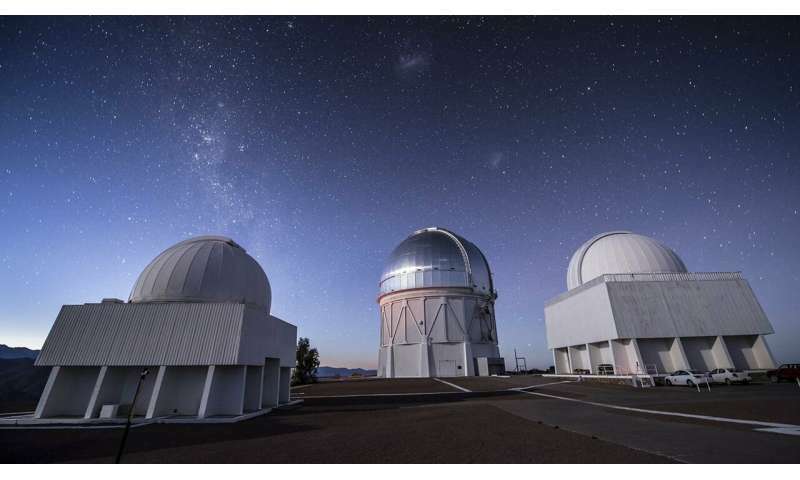 The data for the survey was collected using the Dark Energy Camera mounted on the Blanco 4-meter telescope at Cerro Tololo Inter-American Observatory in Chile. The camera, which is one of the most powerful digital imaging devices in existence, was built and tested at Fermilab, America's leading particle physics laboratory located in Batavia, Illinois. Fermilab is named after Nobel laureate Enrico Fermi, a Nobel-winning physicist and member of UChicago's faculty. 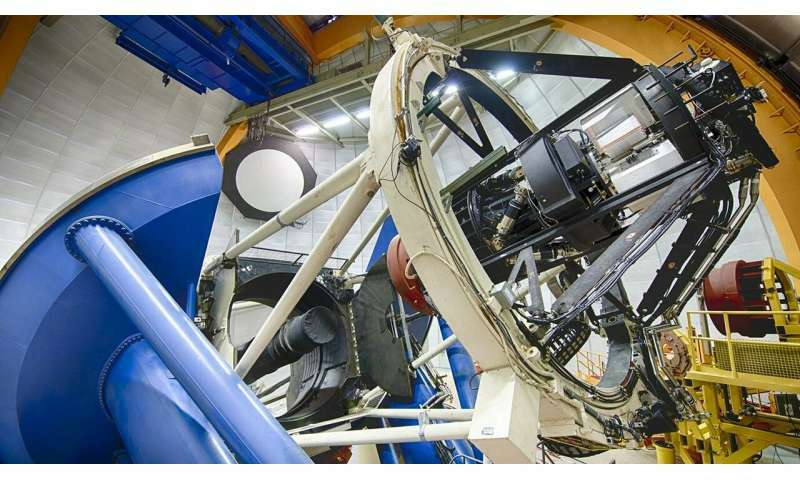 The Dark Energy Camera, called DECam, will remain mounted on the Blanco telescope at Cerro Tololo for another five to 10 years and will continue to be a useful instrument for scientific collaborations around the world. "DECam was needed to carry out the Dark Energy Survey, but it also created a new tool for discovery—from the solar system to the distant universe," said Alistair Walker of the National Optical Astronomy Observatory, a Dark Energy Survey team member and the DECam instrument scientist. "For example, 12 new moons of Jupiter were recently discovered with DECam, and the detection of distant star-forming galaxies in the early universe, when the universe was only a few percent of its present age, has yielded new insights into the end of the cosmic dark ages." Steve Heathcote, director of the Cerro Tololo Inter-American Observatory, also foresees a bright future for the Dark Energy Camera. "Although the data taking for the Dark Energy Survey is coming to an end, DECam will continue its exploration of the universe from the Blanco telescope and is expected remain a front-line engine of discovery for many years," Heathcote said. The survey generated 50 terabytes (50 million megabytes) of data over its six observation seasons. That data is stored and analyzed at the National Center for Supercomputing Applications at the University of Illinois at Urbana-Champaign. Dark energy is the dark matter outflow associated with our universal black hole.